Should pre-college piano students play “big” pieces? 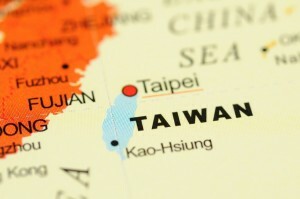 Taiwan was the first Asian country I visited, about 25 years ago. It’s changed a lot. Based on what I can see, the daily life of the people is in many ways better. Some senior piano teachers of my acquaintance there complain. They say there aren’t as many students as before (demographic statistics support this, Taiwan has one of the lowest birthrates in the world) and the students that do study are practicing less, for a variety of reasons just like those in the States: too much homework, too many distractions and, well, I have to say it, I heard the word…laziness. So it was a pleasant surprise to work with some very talented and hard-working students during my time there, in all cases, no matter what their age, playing advanced-level works. Good point. But does learning “big” pieces too young cause student burnout? Does it increase the likelihood of hand and arm problems later? Is it, simply, too much too soon? P.S. I had a great time teaching in Taiwan. Thanks to my former students Daniel Chia-Te Liu and Wan-Ju Ho for arranging things for me. 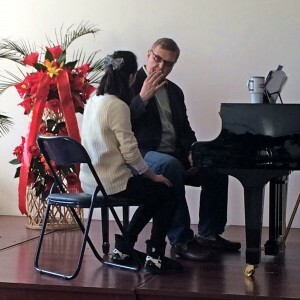 Based on what I heard, the art of piano playing in Taiwan is healthy and going strong. Who knew I had to come to China to hear pieces by an almost forgotten French woman composer? It happened. After three days of teaching at the Dalian branch of the Shenyang Conservatory, I have a new liking for the works of Cécile Chaminade. The name rang a distant bell when I first took a look at the repertoire list. I vaguely remember Chaminade’s Scarf Dance from a faded anthology dating to my Mom’s girlhood that she kept on our upright piano when I was a boy. Time to learn more! Chaminade, like so many 19th-century women musicians, had to struggle to be taken seriously. He father at first refused to allow her to pursue serious music study. Once launched, her success was immediate, both as a composer and pianist. Isidor Phillip, the head of the piano department at the Paris Conservatory, championed her work. Legendary French singers Blanche Marchesi and Pol Plançon sang in her premieres. Her arrival in the U.S. in 1908 created a sensation. “Chaminade Clubs” formed in major cities to support her work and she became one of the most published of all women composers. She received awards from Queen Victoria, the Sultan of Turkey and in 1913 was named a member of the prestigious Légion d’honneur, the first woman composer so honored. All of this faded after World War I, her work increasingly viewed as a dated relic from a bygone era. She died in obscurity in 1944. What are her pieces like? Jonathan Summers, in the Naxos database, describes them as “beautifully crafted, aiming to please and charm their audience” and her playing as characterized by a “fluid technique and nonchalant style of chic and charm”. The works I heard are all of that. Furthermore, they not quite as hard as they sound and are well written for the hand. Take a look at Autrefois and Automne, which were in the repertoire of Leopold Godowsky and Shura Cherkassky. There is an appealing Chaminade Album on IMSLP that contains some lovely works.